This arrangement comes with a FREE box of fine handmade British chocolates! 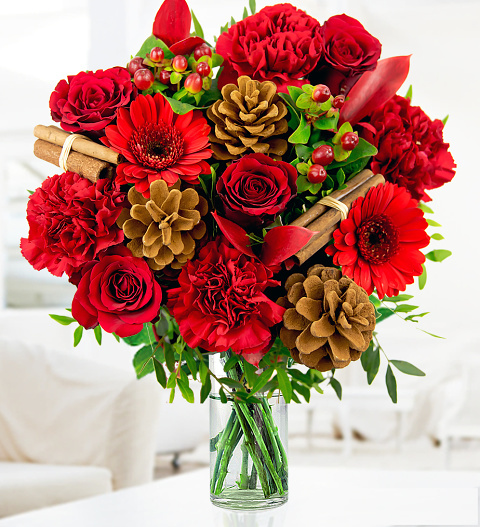 The Festivity arrangement is available for UK next day delivery. Chocolates may contain nuts.